During the White Oaks Elementary School Open House, Sept. 1, from 3 to 4 p.m., Sparkles! is also welcoming families to learn about and register for our trusted before and after school program. 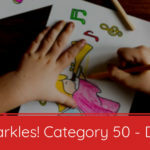 More than just a daycare center, Sparkles! White Oaks provides a safe and fun learning environment for children, while also offering parents flexibility and peace of mind. Sparkles! at White Oaks operates on all scheduled school days, and is open on teacher work days as well. During school breaks, students of our White Oaks center have the option to attend Sparkles! child care center in Fairfax. If you can’t join us for open house, please call 703.502.8100 to learn more and reserve space for your child. To contact us during summer break, please call 703.502.8100.